On May 11 an all-white Spokane jury ruled that it was SELF DEFENSE for an armed white man (Edward Bushnell) to shoot an unarmed Black man (William Poindexter) in the back, when he was 30 feet away and walking away from him. As the publisher of the Black Lens newspaper, I have been following this case since the shooting happened in July, 2015. I was in the courtroom for the trial, and I was stunned that what I saw and heard could produce anything but a ruling of murder. I am angry at a process that put the murdered Black man on trial, instead of his killer, and disappointed by the local media coverage that left out key information in its reporting. I contacted the court to get access to the trial transcsript, wanting to make the full and complete account of what happened in the courtroom available to the public. To my surprise, I discovered that the cost for the full transcript of the trial is over $3,000. I don't know how it serves the public interest for court transcripts, which should be public records, to be so expensive that people in the community, and independent media, cannot afford to get them. But that is a fight for another day. 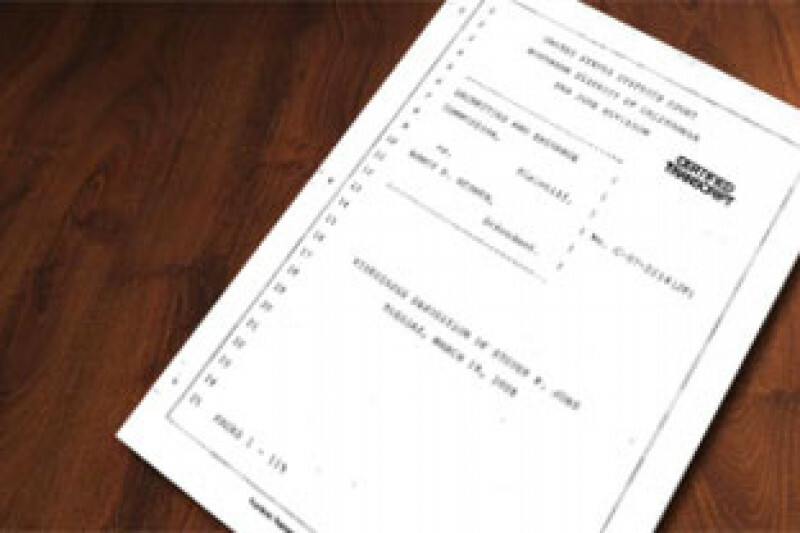 Right now, I am asking for help to cover the cost of obtaining the transcript of the Bushnell trial, which I will make available online in its entirety, as well as any other documents that I am able to obtain. Money raised will go towards the cost of obataining the transcript and towards any other costs associated with obtaining documents related to the Bushnell trial and making them available to the public for review. Should I exceed the amount needed, I will form a fund for future costs associated with covering this case or others. A Huge THANK YOU to everyone who contributed to The Black Lens to help me get the transcript from the Bushnell trial. Whether you donated $5 or $100, I am very grateful. The process now is that we put half of the money down to place the order for the trial transcript. We will not know the final amount until the court reporter is finished. The Court Reporter said that it will be July before she can start work on this transcript, so we should not expect to get the transcript until September or later. I will stay on top of this and I will keep you posted. I woke up this morning to discover that we are less than $500 away from our goal. Thank you and please keep sharing. We are almost there. A HUGE thank you to everyone who has contributed so far. We are 2/3 of the way to the goal in only 1 day. I am extremely grateful for your support. Please help spread the word, if you have not done so already. There will undoubtably be other expenses.